The real estate market in the UK is not all that different from the market in the United States. All around the world, sellers are looking for unique ways to boost the prospects for their property so they can get a solid sale price. Whenever it’s a buyer’s market, it’s time to get creative. There is no reason why home sellers should have to just put their properties on the market without first ensuring that those properties are in top shape. A search of any major real estate website will reveal homes that obviously have not been prepared properly by the homeowners or agents. 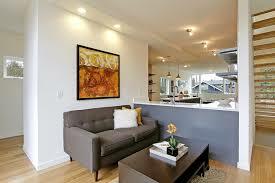 Those with good real estate agents, though, have been taking advantage of the beauty of staging. Home staging is critical because of the emotional nature of the home buying process. Price and money are certainly important factors that can drive any home sale. When most people are thinking about buying a house, though, they are imagining themselves in the home. They are imagining their kids running around or their family having dinner around the table. With this in mind, it is the job of the homeowner to ensure that the home presents itself in a way that people can picture a great future there. Home staging is critical because most people will not have the same tastes as you on little things like decor. What does it matter if a home buyer likes different kids of pillows? What should it matter if he or she doesn’t like the frames you have chosen? When a home is properly staged for sale, it is made as neutral as possible on all of the things that do not matter. When that’s the case, the people looking at the home can really focus on the things that do matter. What matters in a home sale? For many buyers today, it’s all about the home’s structure. Buyers want good bones and character they can live in for years to come. They also want a high-end kitchen where they can spend a lot of time. These are the elements that will eventually make the sale. It would be a shame if a prospective home buyer walked away from an otherwise great deal just because the home happened to not be staged in a professional way. Smart home sellers and good agents have figured this out.